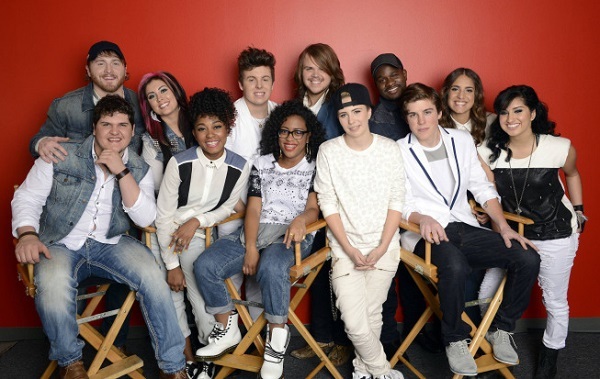 POLL: Who’s your American Idol top 12 favorite? There were only a few contestants who brought powerhouse performances to Wednesday’s American Idol. Kristen O’Connor was sadly not one of them. Check out who survived the bottom three to make it the top 12. Then tell us who you’re rooting for! The votes are in and to no one’s surprise, Kristen O’Connor was sent home on last night’s American Idol. It wasn’t that Kristen sang poorly on Wednesday’s episode, her performance was just… blah. Harry Connick Jr.’s critique of Kristen’s rendition of “Beautiful Disaster” said it best. “I didn’t feel what the song was about.” The deeply emotional lyrics didn’t seem to resonate with the Florida native. It was a bit too poppy, just a bit too happy and the viewers seemed to take notice. The semi-shock of the night wasn’t who went home, but who joined Kristen in the bottom three. MK Nobilette and Malaya Watson were just votes away from being booted as well. After Tuesday’s performances you can’t exactly blame the audience, but honestly, Dexter and C.J. really brought the flattest and bad karaoke performances of the night. Instead of making the songs their own, they seemed to be imitating the original artists, and not very well at that. MK didn’t exactly bring it in confidence or consistency, but the incredible things she can do with her voice should have been enough to keep her safe. Luckily, she’ll be around for another week and can work on her stage presence. I have the feeling it won’t take long before she owns it and unleashes the true range of her talent. Malaya Watson, on the other hand, is not afraid to bring some energy and personality to the stage. But, maybe that’s all she brought. She put a lot of effort into putting on a good show, but her voice got lost in the mix. Like JLo said, this wasn’t her best performance. With Kristen out of the competition that leaves Ben, C.J., Jena, Caleb, Jessica, MK, Emily, Alex, Dexter, Majesty, Malaya and Sam as America’s Top 12. Who do you want as your next American Idol?